Stephen Hatch-Barnwell’s (1909-1989) Tour of Duty as ICS (Indian Civil Service) in Bengal (1933-1947) as CSP (Civil Service of Pakistan) in East Pakistan (1949-1966) is not just another British officer’s “notes to successors” for those of us who care to read such memoirs. The author makes it a point to inform the readers that his main purpose was to show what life was for a young ICS officer in the very last days of the British Raj and not to give a personal life history to the readers. India, the crown jewel of the British Empire, during 1930s & 40s, was in the throes of a turbulent movement for national independence. Bengal was at the centre of it, with terrorists at the fringe trying to assassinate the British rulers and Hindu Muslim tensions leading to communal riots. It was during this period of fire and fury that Stephen Hatch-Barnwell decided reluctantly to join the Bengal cadre of the Indian Civil Service, the steel frame that held the empire together. He witnessed the collapse of the steel frame, as the nationalist movement gathered momentum. 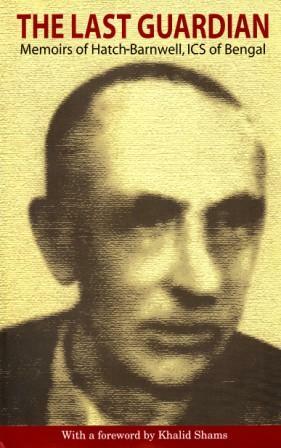 Memoirs of Stephen HatchB arnwell provide a vivid personal account, probably the first one by a British civil servant, of the Wrbulent transition of government to the province of East Bengal in the newly independent Pakistan. He provides very candid, insider’s perspectives, laced with typical English humour, of the government and administration of the colonial regime that was in a constant flux He was trained to perform not only the traditional magisterial and revenue functions, but was also required to cope with the Second World War and the tragedy of 1943 famine.. He is credited with the establishment and pioneering development of the food procurement and distribution system. As chairman of the newly created East Pakistan Agricultural Development Corporation (EPADC), he promoted new technologies for transformation of traditional agricultural production system. As senior member of the Board of Revenue, he was given a special assignment to draw up plans for resettlement of the indigenous population so cruelly displaced by the construction of the Kaptai dam. He came to know quite intimately the leading political personalities of undivided Bengal as well as the then East Pakistan, including H.S. Suhrawardy and A.K. Faziul Huq. He played golf with General Ayub Khan and quipped, “when a general becomes the president of a country he is not amenable to anybody’s advice”. He was amongst the handful of British ICS officers who opted for Pakistan. This book will be of immense interest to those who want to know about the tumultuous events during the partition of Bengal and thereafter. It will be valuable to those researching on the civil service and public administration as well as its transformation during the post colonial era.